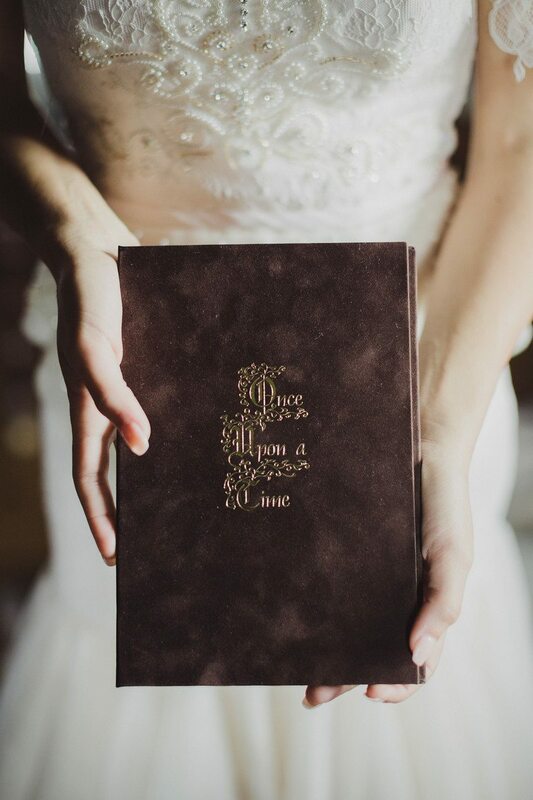 Your words of love will be forever bound inside this exquisite vow book, enabling you to pass on your legacy to future generations. 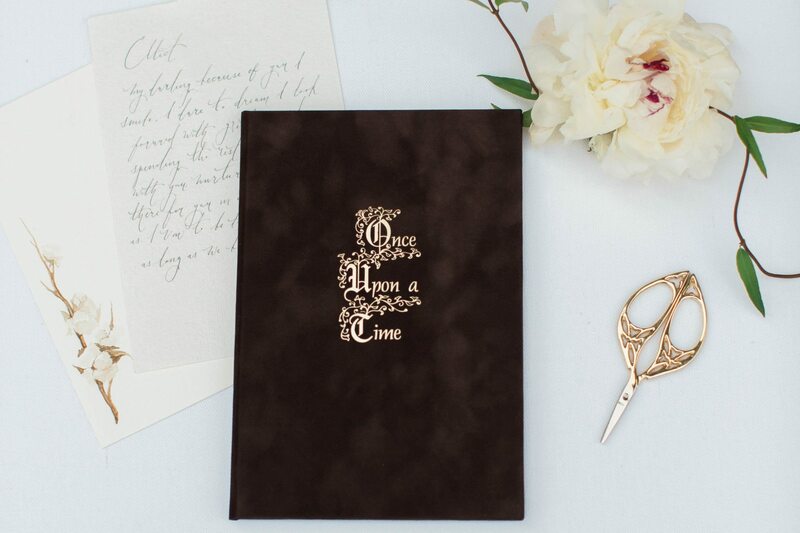 For the couple with a romantic love story who are planning a fairytale wedding complete with all of the bells and whistles, our Once Upon a Time signature design is an heirloom-in-the-making. 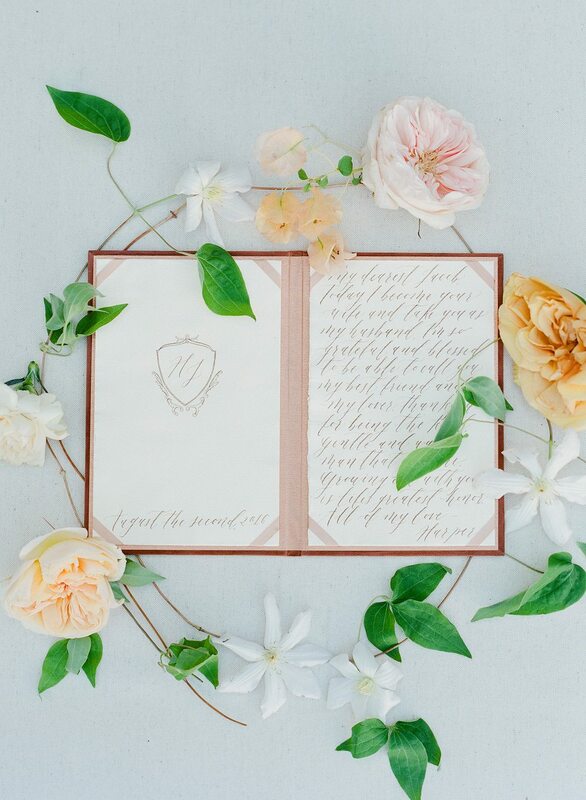 Inspired by castles, medieval scriptures, and romance, this design was designed and hand-drawn by artist Erick Luces. 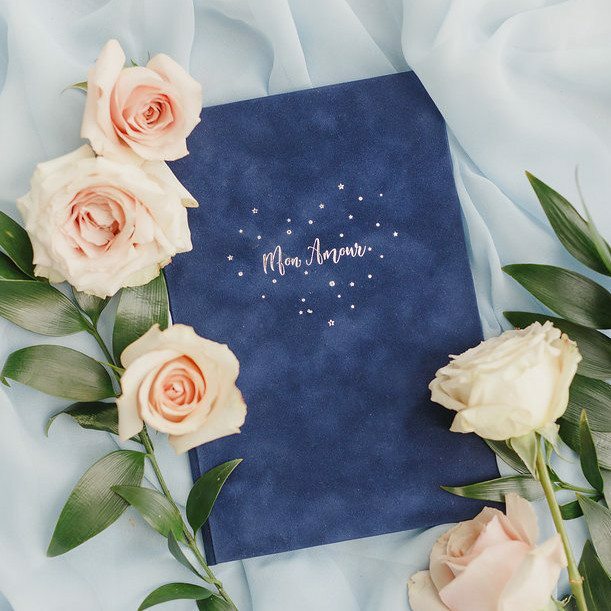 This vow book design also has a matching storybook cover design for couples who are having their wedding story written by Wedding Story Writer. 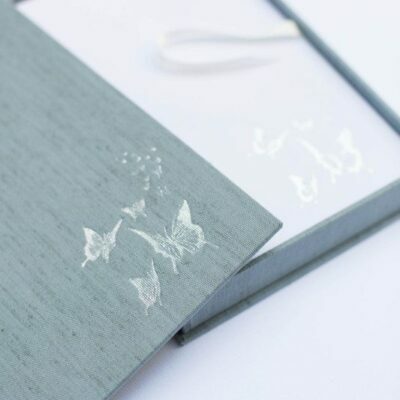 A beautiful white gift box. 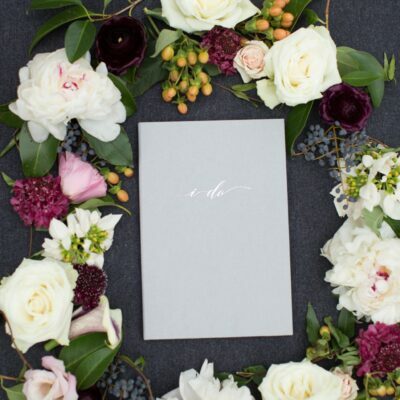 Styling Tip: Pair with bride’s or groom’s accessories, a tiara, jewelry, wax seal, perfumes and lush blooms or mossy greens, and don’t forget your silk ribbon, styling scissors, and sixpence! Care: Keep in a dry, dust-free and humidity-free area, away from heat and light. 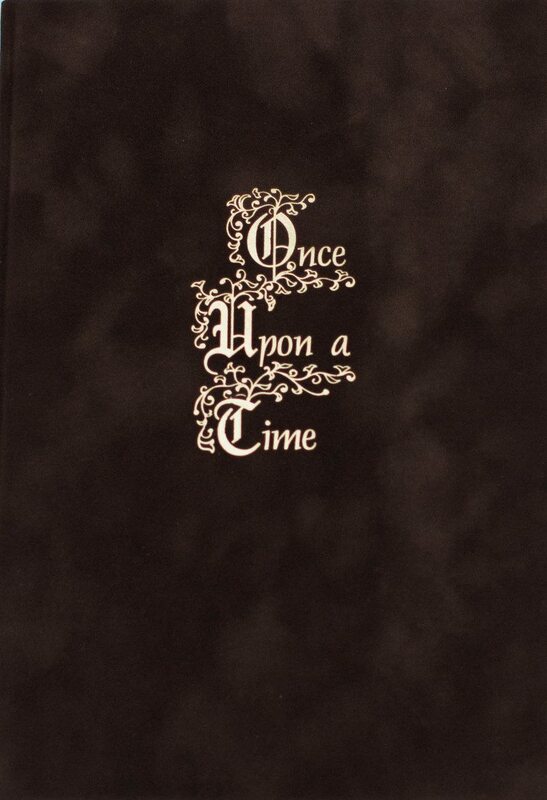 Do not bend your vow book backward as it may crack the spine. 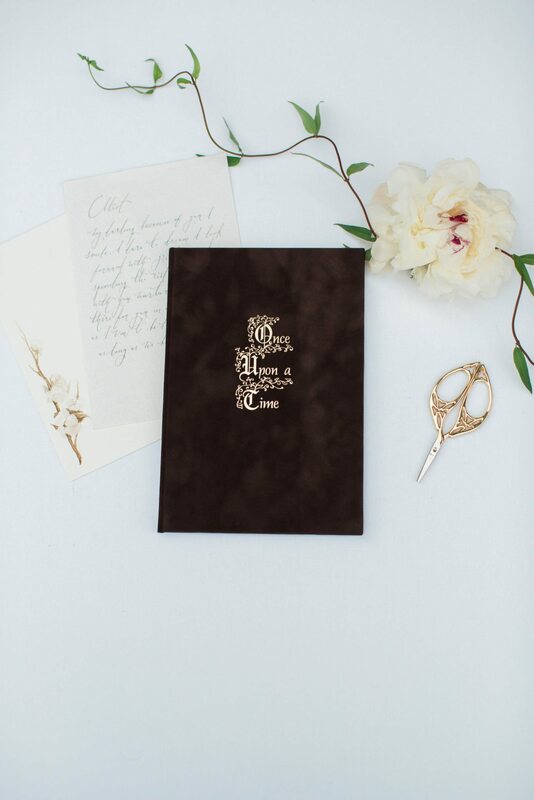 Store in a Wedding Story Writer Legacy Book Box for ultimate care. Please allow 3-4 weeks for creation and delivery. Rush orders are available for an additional cost. See additional information in the product description below. 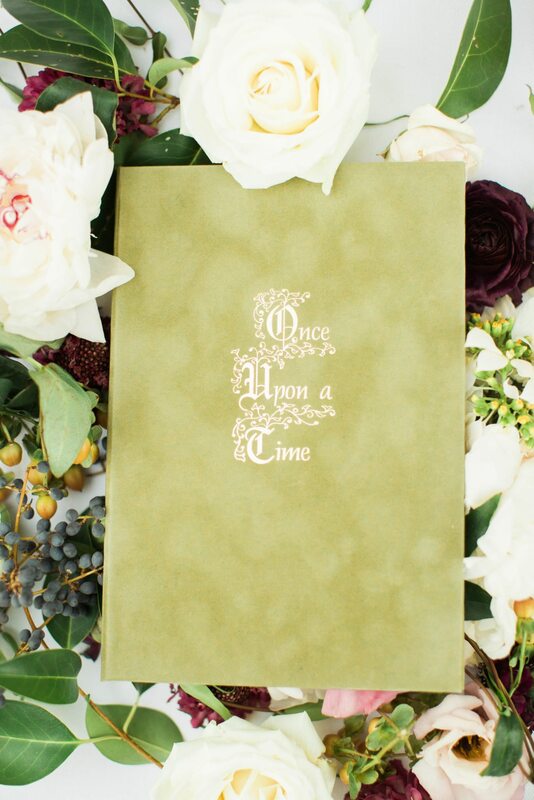 One 9 x 6 inch Wedding Story Writer Once Upon a Time signature velvet vow book in your choice of color from our drop-down menu. 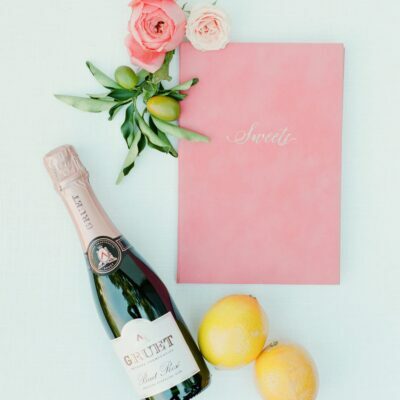 We also will take and email you 2-3 digital photos of your book, styled, so that, if you wish, you can use on social media. Please tag @weddingstorywriter.